▲ Here's a model you might recognise! 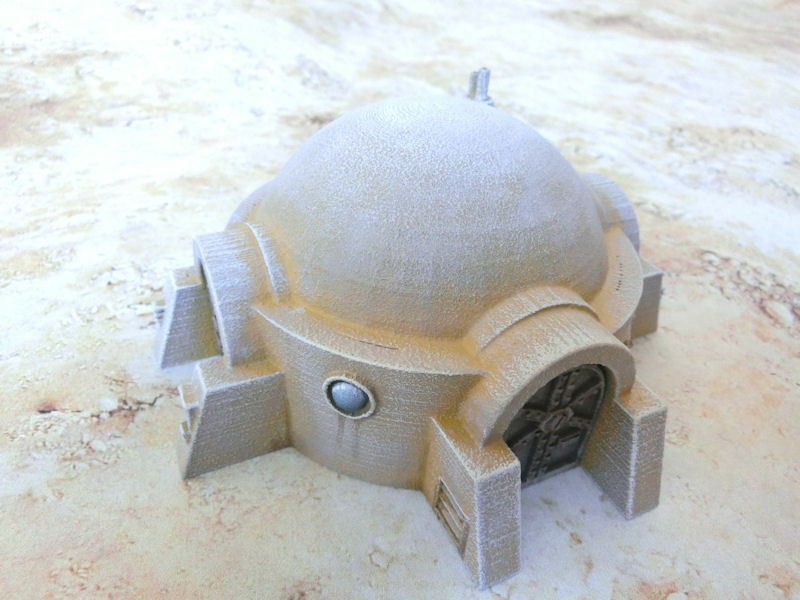 A Tattoine hut from the Star Wars movie - this was a free model we downloaded from our favourite 3D printing website, Thingiverse, and printed at 0.2mm layer resolution. 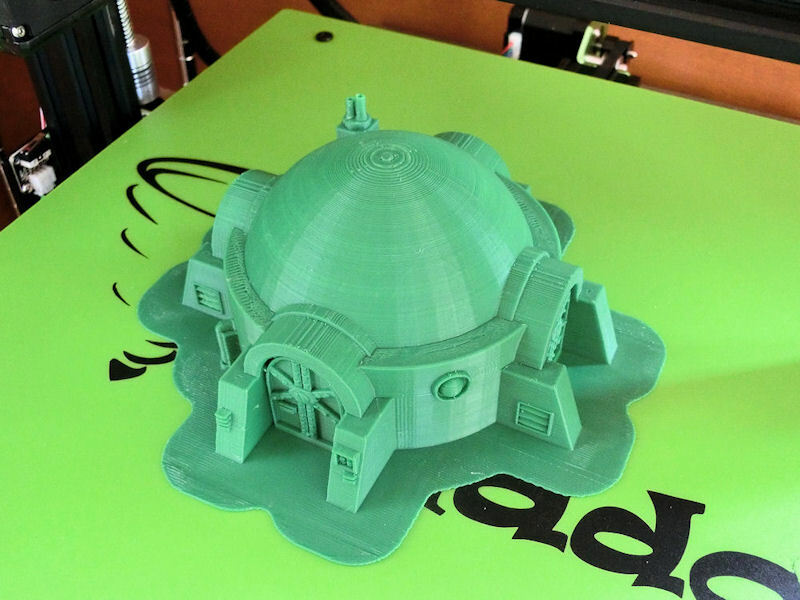 ▲ A few minutes of light sanding removed the worst of the horizontal lines on the dome and smoothed some of those edges. We then covered over the doors with blutak and paper, as we didn't want to apply stone texture to those. 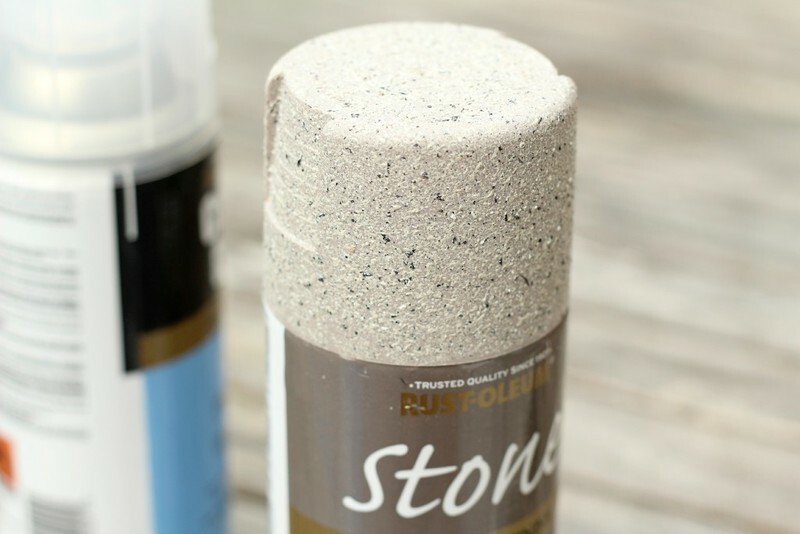 ▲ Stone-effect spray can be found in pretty much any hardware store. 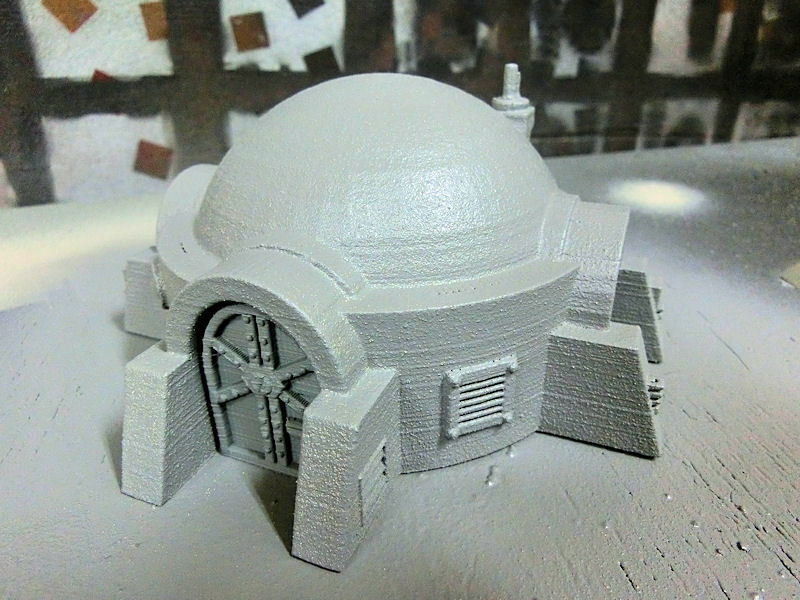 It contains tiny flecks of plastic inside the paint, which simulates a gritty stone finish perfect for 3D printed wargaming terrain. 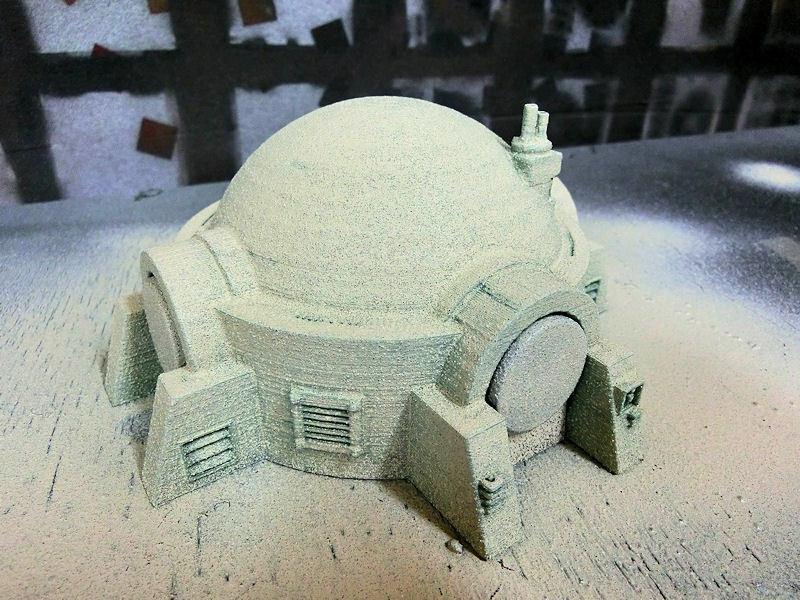 ▲ Here's our hut model after one coat of texture spray. We decided to apply another coat of spray once this was dry. ▲ After the second coat of texture spray, we have a nice even coat of grit. 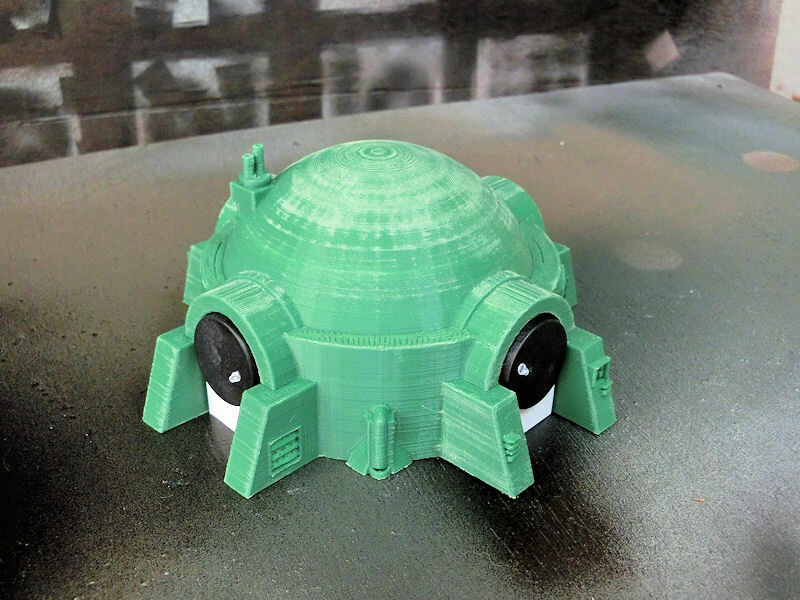 The thickness of the paint has really helped to hide the lines on the dome - a typical problem with 3D print models of that shape. 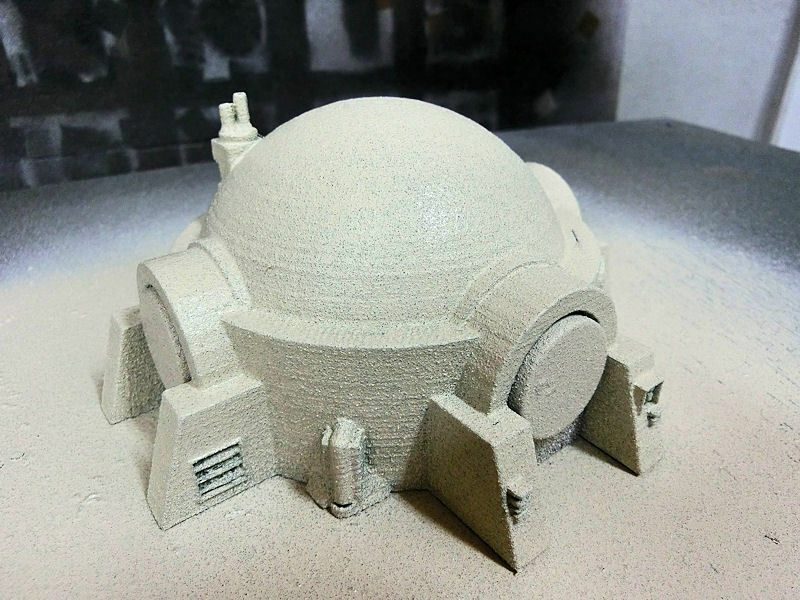 ▲ Although you could use the stone-effect spray as the final undercoat colour, we decided to spray our model once more with light grey matt primer. ▲ The finished model, after one hour of basecoating, drybrushing, and detail painting. It matches the look of the desert board really well!